Congress establishes a Marine Sciences Council led by Vice President Hubert Humphrey. The Commission on Marine Science, Engineering and Resources ("The Stratton Commission") releases a report on the marine environment entitled, "Our Nation and the Sea: A Plan for National Action." Chaired by Julius A. Stratton, chairman of the Ford Foundation, the 15-member commission consulted with 600 individuals in government, academic institutions and industry within a 30 month period, in addition to hearing formal testimony from 126 witnesses before issuing its report. "Our Nation and the Sea" emphasizes three issues: (1.) the ocean as a frontier for resource development; (2.) emerging threats to the coastal environment; and (3.) the need to reorganize federal ocean and coastal programs. It leads directly to a reorganization of federal ocean efforts and the creation of the National Oceanic and Atmospheric Administration the next year. The National Oceanic and Atmospheric Administration (NOAA) is established and placed within the Department of Commerce. The National Environmental Policy Act establishes the federal Council on Environmental Quality (CEQ) and mandates a process for federal agencies to fully assess and evaluate the impacts of their actions on the environment and disclose those impacts to the public. 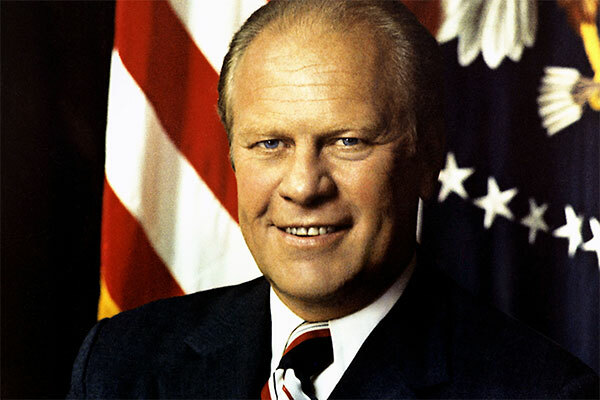 President Richard Nixon directs the Council on Environmental Quality to conduct a study of the ocean disposal of wastes. In October, the Council publishes its report, entitled "Ocean Dumping — A National Policy." 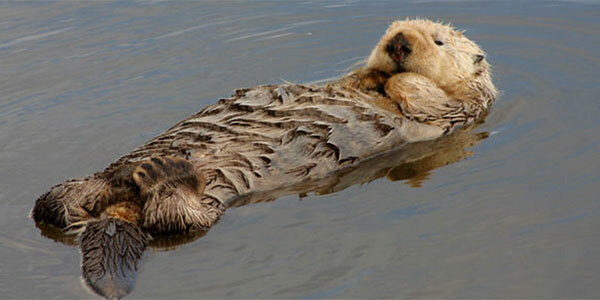 Congress passes the Marine Mammal Protection Act and Coastal Zone Management Act. Congress overrides President Nixon's veto and passes the Federal Water Pollution Control Act, substantially rewriting and strengthening federal water pollution control. Scientists from Duke University, the State of North Carolina and the Massachusetts Institute Technology (MIT) discover the wreckage of the Civil War ironclad USS Monitor off the coast of North Carolina. USS Monitor is nominated for national marine sanctuary status by Governor James E. Holshouser, Jr. of North Carolina. January 30 - President Gerald Ford approves the designation of USS Monitor National Marine Sanctuary off the coast of North Carolina. It becomes the nation's first national marine sanctuary. December 18 - President Gerald Ford approves the designation of Key Largo National Marine Sanctuary off the coast of Florida, making it the second national marine sanctuary. California nominates and NOAA selects Channel Islands, Point Reyes-Farallon Islands and Monterey Bay for further study as potential national marine sanctuaries. President Jimmy Carter instructs the Secretary of Commerce to identify possible national marine sanctuaries in areas where development appears imminent. His "Environmental Message to Congress" carries a plea for special attention for marine sanctuaries. November 4 - Congress reauthorizes the NMSA (P.L. 95-153). President Jimmy Carter requests that NOAA develop a List of Recommended Areas for marine sanctuaries designation. This process results in a pool of 67 potential sites from which future Active Candidates for sanctuary designation are to be chosen. NOAA announces the List of Recommended Areas for marine sanctuary designation and List of Active Candidates. Flower Garden Banks, 100 miles off the Texas and Louisiana coast in the Gulf of Mexico, and Gray's Reef, Georgia are Active Candidates. St. Thomas, Virgin Islands is studied as an Active Candidate for sanctuary designation. Georges Bank, Massachusetts is considered and denied as an Active Candidate because it is determined that existing management programs are adequately protecting the area's resources. 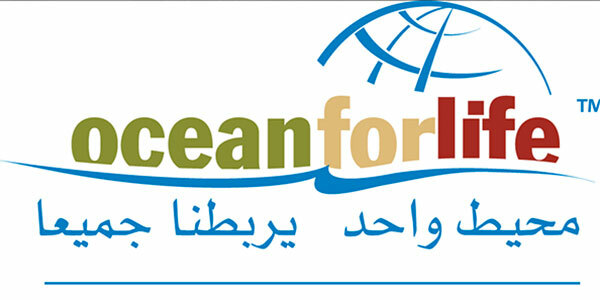 Office of Ocean Management and Office of Coastal Zone Management is combined to form Office of Ocean and Coastal Resource Management. Sanctuary Program Office established with responsibility for national marine sanctuaries and coastal estuarine reserves. NOAA removes Georges Bank, Massachusetts from List of Active Candidates. August 29 - Congress reauthorizes the National Marine Sanctuaries Act (P.L. 96-332). Among other things, the 1980 amendments give Congress authority to review a sanctuary designation before it becomes final. September 22 - President Jimmy Carter approves the designation of Channel Islands National Marine Sanctuary off the coast of California. It becomes the third national marine sanctuary in the system. January 16 - President Jimmy Carter approves the designation of Point-Reyes Farallon Islands, Gray's Reef and Looe Key national marine sanctuaries off the coasts of California, Georgia and Florida, respectively. These designations bring the total number of national marine sanctuaries to six. Puerto Rico nominates and NOAA chooses waters off La Parguera, Puerto Rico for study as an Active Candidate. December 26 - Congress reauthorizes the National Marine Sanctuaries Act (P.L. 97-109). Office of Ocean and Coastal Resource Management is merged with the National Ocean Survey under the umbrella of the National Ocean Service. Flower Garden Banks and St. Thomas withdrawn from consideration as Active Candidates. Fagatele Bay, American Samoa is considered for Active Candidacy. 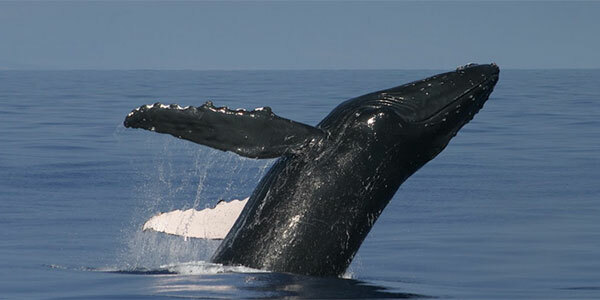 Hawaii Humpback Whale site in Maui, Hawaii is declared an Active Candidate for sanctuary designation. Cordell Bank is made an Active Candidate. Monterey Bay is removed as an Active Candidate. Termination of first Monterey Bay, California designation effort. Termination of Virgin Islands designation efforts. List of Recommended Areas is eliminated and replaced by site evaluation list of 29 sites. October 19 - Congress reauthorizes the National Marine Sanctuaries Act (P.L. 98-498). "Historical" and "cultural" qualities are included as those qualities that make an area of the marine environment nationally significant and thus worthy of protection. This enlarges the sanctuaries primary mission to preserve marine resources beyond the ecological, recreational, educational, research or aesthetic values. The amendments change the procedures by which sanctuaries are designated by: removing the explicit requirement for the President's approval; requiring consideration of a site's educational, historical and research values; requiring consultation with a list of entities, including Fishery Management Councils; and requiring the preparation of certain environmental studies. Intent is given to consider Flower Garden Banks in the Gulf of Mexico as an Active Candidate. La Parguera, Puerto Rico is removed from Active Candidacy. Hawaiian Islands Humpback Whale site is suspended when Governor Ariyoshi withdraws all state waters from sanctuary consideration. August - The vessel Wellwood grounds in the Key Largo National Marine Sanctuary. November - The vessel Puerto Rican sinks in Point-Reyes Farallon Islands National Marine Sanctuary. A major portion of program funds is spent responding to the Wellwood and Puerto Rican ship disasters in 1984. Ten Fathom Ledge and Big Rock, North Carolina and Norfolk Canyon, Virginia are studied for status as Active Candidates. 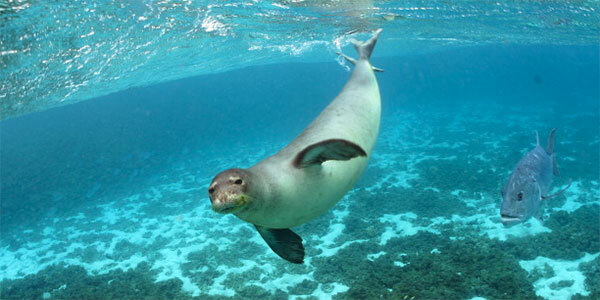 April 29 - NOAA designates Fagatale Bay National Marine Sanctuary off the coast of American Samoa. The seventh of the national marine sanctuaries, it is the first outside the mainland United States. Norfolk Canyon, Virginia is made an Active Candidate. The USS Monitor is named a National Historic Landmark. It remains one of the only underwater sites so designated. Ten Fathom and Big Rock, North Carolina are removed from Active Candidacy. 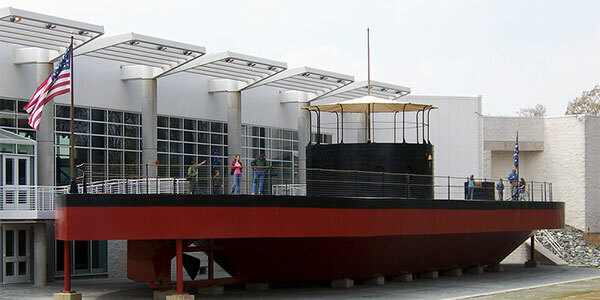 The Mariners' Museum, Newport News, Virginia, is selected as the principal museum for curation of USS Monitor artifacts and papers. November 7 - The National Marine Sanctuaries Act is reauthorized (P.L. 100-627). Changes allow the sanctuaries program to issue special use permits, enter into cooperative agreements and collect and use funds obtained from resource damage claims. Monterey Bay, Olympic Coast, Northwest Straits and Stellwagen Bank are all named as Active Candidates. Santa Monica, California; Alligator Reef, Sombrero Reef and American Shoal, Florida are named as study areas. The vessels Elpis and Alex Owen Maitland ground in Key Largo National Marine Sanctuary. 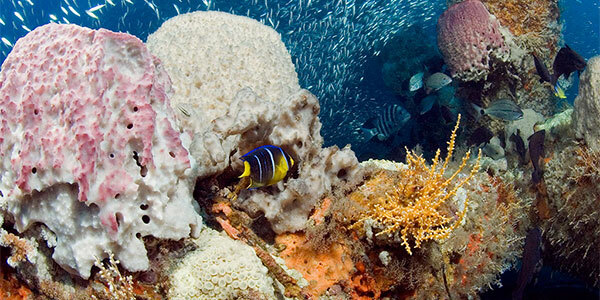 Sanctuary biologists learn that only a few of the reef-dwelling animals have survived. M/V Mavro Vetrantic grounds in the Dry Tortugas. All three groundings occur within a 18 day time. 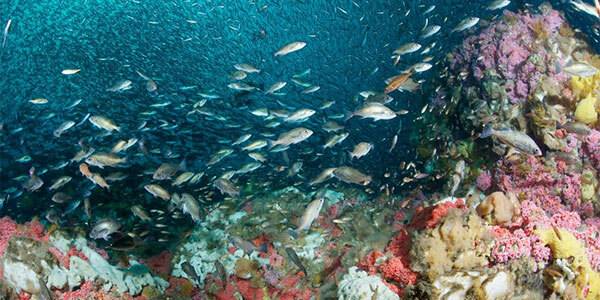 May 24 - NOAA designates Cordell Bank National Marine Sanctuary off the coast of California. It is the eighth national marine sanctuary in the system. August 9 - Congress prohibits exploring for, developing or producing oil, gas or minerals in Cordell Bank National Marine Sanctuary (P.L. 101-74). November 16 - Congress designates Florida Keys National Marine Sanctuary off the coast of Florida (P.L. 101-605). Key Largo and Looe Key national marine sanctuaries become part of the larger sanctuary. NOAA’s first marine archaeologist is hired. Thunder Bay, Michigan is made an Active Candidate. Santa Monica, California is removed from sanctuary designation consideration. January 17 - NOAA designates Flower Garden Banks National Marine Sanctuary in the Gulf of Mexico. It is the nation's tenth sanctuary and the first in the Gulf of Mexico. September 18 - NOAA designates Monterey Bay National Marine Sanctuary off the coast of California. It becomes the eleventh national marine sanctuary. Congress later affirmed the effective date as September 18, 1992 (P.L. 102-587). November 4 - Congress passes the Oceans Act of 1992 (P.L. 102-587). Among other things, that law: reauthorized the NMSA; designated Stellwagen Bank and Hawaiian Islands Humpback Whale national marine sanctuaries; prohibited leasing, exploring for, producing or developing oil and gas in the Monterey Bay National Marine Sanctuary; and inserted a new requirement for federal agencies to consult with the program on activities that are likely to injure sanctuary resources. Norfolk Canyon, Virginia; Thunder Bay, Michigan; Northwest Straits and Olympic Coast, Washington are named as Active Candidates. 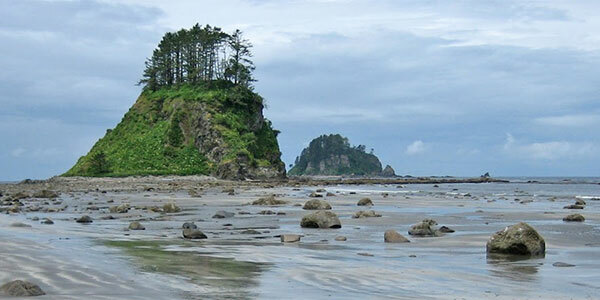 July 16 - NOAA designates Olympic Coast National Marine Sanctuary off the coast of Washington. It becomes the nation's twelfth marine sanctuary. In response to the 1989 vessel groundings in Key Largo National Marine Sanctuary, scientists continue restoration efforts. In the summer of 1995, reef rebuilders are hard at work creating new habitats. Original coral structures are rebuilt and later corals, sponges and sea fans are transplanted. In recognition of this historic restoration, the U.S. Department of Commerce awards the NOAA-led team of scientists its Bronze Medal for the successful completion of this unprecedented effort in reef habitat restoration. October 11 - Congress reauthorizes the National Marine Sanctuaries Act (P.L. 104-283). This reauthorization requires NOAA to prepare a comprehensive management, recovery and preservation plan for the USS Monitor; expands provisions that allow sanctuaries to seek private donations and raise monetary or in-kind contributions; allows expedited inclusion of Kaho'olawe Island in Hawaiian Islands Humpback Whale National Marine Sanctuary; and adds Stetson bank to Flower Garden Banks National Marine Sanctuary. 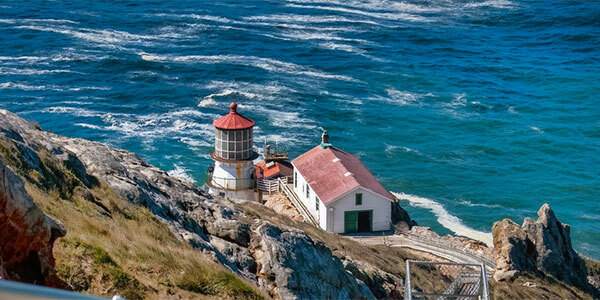 January 27 - NOAA changes the name of Point-Reyes Farallon Islands National Marine Sanctuary to Gulf of the Farallones National Marine Sanctuary. August 26 - Norfolk Canyon, Virginia is removed as an Active Candidate for sanctuary designation. 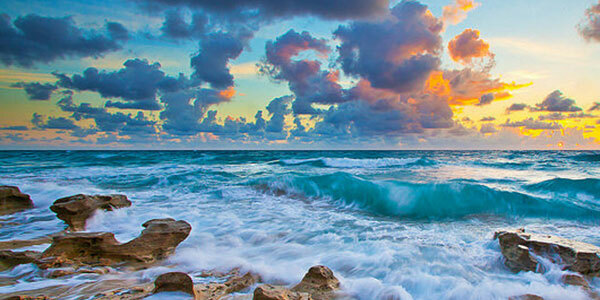 The International Year of the Ocean is celebrated throughout the United States. President William J. Clinton and Vice President Albert Gore attend the National Oceans Conference in Monterey, California and call attention to the need for ocean protections. Five hundred ocean leaders endorse a comprehensive program for national action for the oceans. NOAA and National Geographic Society's Sustainable Seas Expeditions prepare to launch a five year deep sea exploration of the nation's twelve national marine sanctuaries. During these expeditions, undersea pilots will photo document the natural history of marine plants and animals from aboard DeepWorker 2000, a one-person submersible. Public education is an important part of the Sustainable Seas Expeditions and educators around the country will share the experience through books, videos and the Internet. The Sustainable Seas Expeditions is made possible through a $5 million grant from the Richard and Rhoda Goldman Fund in San Francisco, California. April 14 - 26 - The Sustainable Seas Expeditions begins its first sea exploration in Gulf of the Farallones National Marine Sanctuary in California. This first launch begins the Pacific Ocean explorations that will take expedition pilots to Cordell Bank (April 27 - May 6), Monterey Bay (May 9 - 22) and Channel Islands (May 25 - June 4). 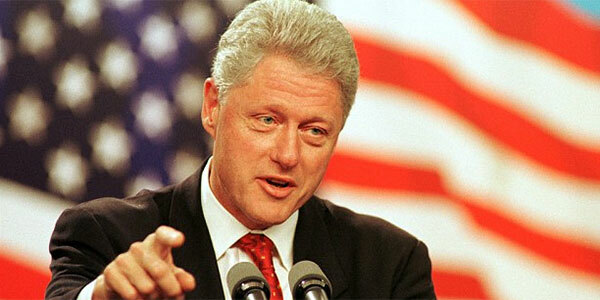 December 6 - President Clinton signs into law a historic funding increase for the National Marine Sanctuary Program. The $11.7 million increase for the 12 marine sanctuaries nearly doubles the program's budget of $14.4 million to $26 million. This action reflects the nation's growing commitment to the conservation of our vulnerable oceans. 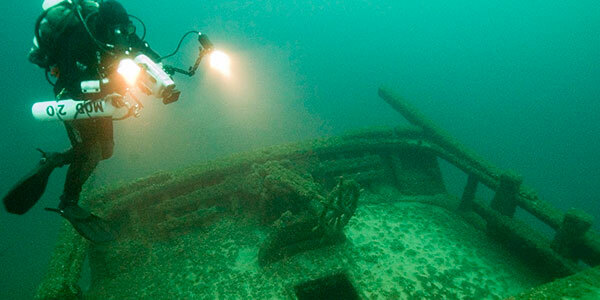 September 25 - NOAA designates Thunder Bay National Marine Sanctuary and Underwater Preserve in Lake Huron. It is the nation's thirteenth national marine sanctuary and the first in the Great Lakes. November 13 - Congress reauthorizes the National Marine Sanctuaries Act (P.L. 106-513). Among other things, the revised law now requires that all national marine sanctuaries be managed as the "National Marine Sanctuary System." December 4 - President William Clinton signs Executive Order 13178, establishing the Northwestern Hawaiian Islands Coral Reef Ecosystem Reserve. The President directs steps to be taken to bring this site into the National Marine Sanctuary System. The new reserve encompasses marine waters and submerged lands of the Northwestern Hawaiian Islands and extends approximately 1,200 nautical miles long and 100 nautical miles wide. Prohibited within the new reserve are oil or gas extraction, discharges or removal of coral. It also includes 15 "reserve preservation areas." 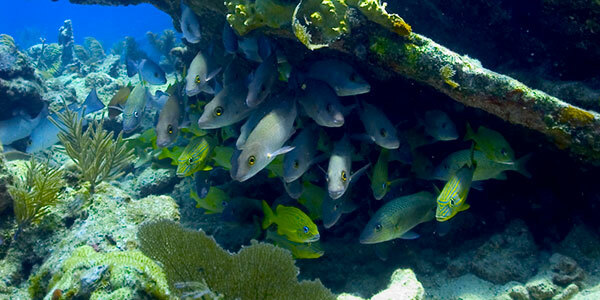 March 8 - NOAA establishes the Tortugas Ecological Reserve as part of Florida Keys National Marine Sanctuary. The reserve is, at the time, the largest fully-protected marine reserve in U.S. federal waters. The non-profit National Marine Sanctuary Foundation was created to expand the reach of the program's education and outreach nationwide. Board members include marine explorer Jean-Michel Cousteau, Director of the Institute for Exploration, Dr. Robert Ballard and ocean explorer Dr. Sylvia Earle. The foundation organizes the first ocean day on Capitol Hill. The steam engine of the Monitor is recovered within Monitor National Marine Sanctuary and transported to The Mariners' Museum. 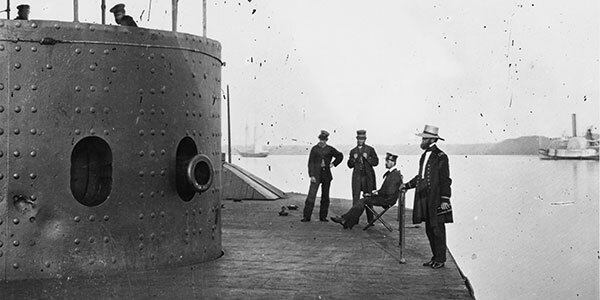 The Civil War shipwreck USS Monitor's gun turret had a historic recovery, along with the remains of two Monitor crewmen. Their remains are sent to the U.S. Army's Central Identification Lab in Hawaii for identification. The Monitor's turret is currently undergoing long-term preservation at The Mariners' Museum. 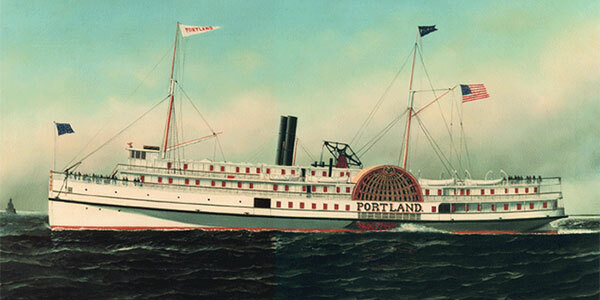 The identity of the steamship Portland, considered New England's Titanic, was confirmed in the waters of Stellwagen Bank National Marine Sanctuary. In 1898, none of the 192 passengers survived when the Portland sank in a storm off Cape Cod. 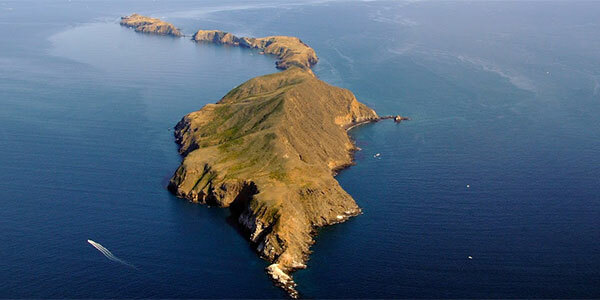 The California Fish and Game Commission voted to establish ten marine reserves and two marine conservation areas in the state waters of NOAA's Channel Islands National Marine Sanctuary. 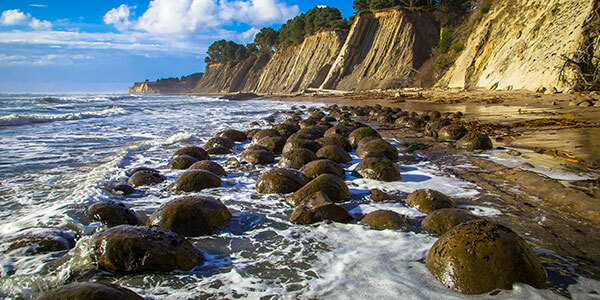 This action created one of the largest marine reserve networks in U.S. waters. At Olympic Coast National Marine Sanctuary, scientists observed 140 humpback whales, the most ever seen in the sanctuary, on a research expedition cruise. Two volunteers from Gulf of the Farallones and Olympic Coast national marine sanctuaries were honored with the first Sanctuary Volunteer of the Year awards. Presented by the National Marine Sanctuary Foundation, the annual awards recognize the importance of more than 5,000 volunteers who assist sanctuary staff. Sanctuary scientists developed the first map of the Gray's Reef seabed. The Gulf of Farallones Sanctuary Education Awareness and Long-term Stewardship Program (SEALS) celebrated a significant conservation victory after reversing the steady decline in harbor seal pupping. The sanctuary's seal population stabilized, due in large part to the effort of SEALS volunteers who eliminated disturbances by people in areas where the seals rest with their young. First successful effort to disentangle a humpback whale at Hawaiian Island Humpback Whale National Marine Sanctuary. A 500,000 gallon tank, modeled after Flower Garden Banks National Marine Sanctuary, was installed at the Tennessee Aquarium. This is part of the sanctuary program's larger effort to work with aquariums across the country to install exhibits about national marine sanctuaries. At Gray’s Reef National Marine Sanctuary, Georgia Southern University scientists and students discover three previously unknown tunicates or "sea squirts." Scientists in Channel Islands, Florida Keys and Stellwagen Bank national marine sanctuaries began using acoustic tags to monitor fish (without harming them). The goal is to figure out how fish move relative to their preferred habitats and areas closed to fishing. The tags also tell scientists whether adult fish within marine reserves (fully protected areas) move out and supplement populations in unprotected areas. Sanctuary staff and NOAA fishery scientists disentangle a juvenile right whale at Gray's Reef that takes about two weeks. Researchers from Stellwagen Bank place recording devices, known as D-Tags, on the backs of several humpback whales. After retrieving the tags, they analyze whale movement that reveals the humpbacks, when feeding, dive to the bottom, turn on their sides and forage along the seafloor, which can increase their susceptibility to entanglement in gillnets and lobster gear. A group of local students and visiting scientists go aboard the University of Hawaii's Pisces submarine to survey the deep waters in and around the Fagatele Bay. The first ever submersible dives at American Samoa enable the group to observe a number of new species for the territory. Scientists announced that they identified six algae species that are new to science and 25 species of crustaceans previously unknown in Flower Garden Banks National Marine Sanctuary. President Bush uses the Antiquities Act to establish the Papahānaumokuākea Marine National Monument (originally called the Northwestern Hawaiian Islands Marine National Monument), making it the largest single conservation area in the history of the country. More than three million Americans learn about sanctuaries for the first time from Jean-Michel Cousteau's six-part high definition television series on PBS, "Ocean Adventures." 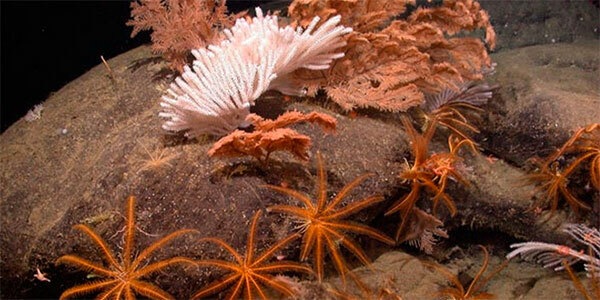 Scientists exploring areas of Olympic Coast National Marine Sanctuary discover six species of soft coral and one species of a stony reef-building coral that is common to the Atlantic, but rare in the Pacific. This is the terrestrial equivalent of discovering new areas of rainforests on land. A collaborative effort by Stellwagen Bank National Marine Sanctuary staff and partners leads the International Maritime Organization to redirect the Boston shipping lanes to protect endangered whales off the coast of Massachusetts. The shift cuts the risk of vessel collisions with critically endangered right whales by an estimated 58 percent and all other baleen whales by 81 percent. 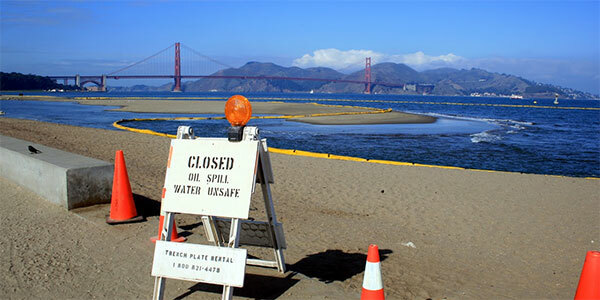 November 7 - The container ship Cosco Busan collides with the San Francisco Bay Bridge and spills over 53,000 gallons of oil into San Francisco Bay, impacting Gulf of the Farallones and Monterey Bay national marine sanctuaries. Sanctuary staff and trained volunteers are deployed immediately, helping coordinate the spill response and surveying beaches for the spread of oil and wildlife mortality. Sanctuaries gain increased public visibility with the opening of two new visitor centers: the Florida Keys Eco-Discovery Center in Key West and the USS Monitor Center at The Mariners' Museum in Newport News, Virginia. Revised management plans are completed for Monterey Bay, Cordell Bank and Gulf of the Farallones national marine sanctuaries. Changes include the expansion of the Monterey Bay sanctuary to include Davidson Seamount, one of the largest underwater mountains in the U.S. The fragile marine ecosystems of Papahānaumokuākea Marine National Monument are designated a "Particularly Sensitive Sea Area" (PSSA) in April by the International Maritime Organization. PSSA designation is intended to protect ecologically and culturally significant marine resources from damage by ships while helping keep mariners safe. Monitor National Marine Sanctuary staff coordinate a scientific expedition in July to investigate three sunken German U-boats off the coast of North Carolina in an area known as the "Graveyard of the Atlantic." The research mission is the first part of a multi-year project to document several historic shipwrecks lost during World War II's Battle of the Atlantic. 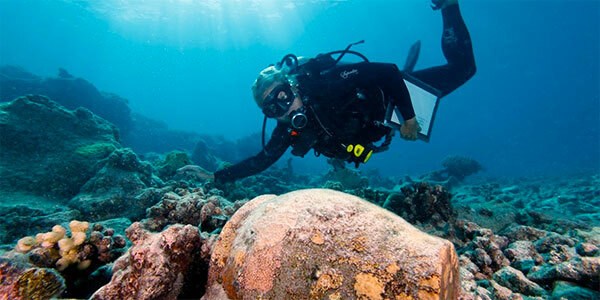 Sanctuary marine archaeologists on an expedition in Papahānaumokuākea Marine National Monument locate the remains of the historic 19th-century British whaling ship Gledstanes and another unidentified vessel. A three-story, 100,000 gallon "California Coast" tank exhibit highlighting Gulf of the Farallones National Marine Sanctuary habitats is unveiled at the newly redesigned California Academy of Sciences in San Francisco in September. January 6 - President George W. Bush designates Rose Atoll in American Samoa as a marine national monument. The Pacific Islands Region and Fagatele Bay National Marine Sanctuary begin to develop management strategies for the new monument. The Office of National Marine Sanctuaries successfully hosts the first Ocean for Life immersive education program, bringing together students from Western and Greater Middle Eastern countries to participate in marine science activities. The program seeks to increase cultural understanding using the ocean as a place to find common ground. 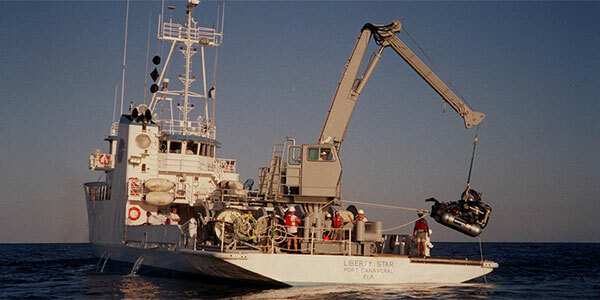 Continuing the Graveyard of the Atlantic research effort, sanctuary researchers locate and identify the final resting place of the YP-389, a U.S. Navy patrol boat sunk by a German submarine during World War II, approximately 20 miles off the coast of Cape Hatteras, North Carolina. Sanctuary advisory council members across the National Marine Sanctuary System create a national working group and draft an agreement addressing the issue of ocean acidification and the threat it poses to sanctuary resources. The Office of National Marine Sanctuaries sponsors and supports a range of film festivals and sanctuary-themed films to bring the ocean to a national audience. Nearly 9,000 people attend the BLUE Ocean Film Festival's debut in Monterey, California. June 17 - Stellwagen Bank National Marine Sanctuary achieves a major milestone with the release of its final management plan, which will guide the sanctuary's resource protection and conservation efforts over the next five years. The whaling shipwreck Two Brothers is identified at Papahānaumokuākea Marine National Monument. The Two Brothers was a whaler lost in 1823 under the command of Captain George Pollard. December 3 - Former President Bill Clinton congratulates NOAA on the tenth anniversary of the Northwestern Hawaiian Islands Coral Reef Ecosystem Reserve. January 31 - The wreck of a mid-twentieth century fishing vessel, the Edna G., representative of a distinctive regional fishing technique, is listed on the National Register of Historic Places, the nation's official list of cultural resources worthy of preservation. The Edna G. shipwreck site rests within Stellwagen Bank National Marine Sanctuary. NOAA's Office of National Marine Sanctuaries' Maritime Heritage Program and the University of Hawaii's Marine Option Program complete a survey of sunken World War II-era aircraft and shipwrecks along Maui's southern coast. The two-week survey continues a longstanding collaboration between NOAA and the University of Hawaii in providing students with hands-on training in maritime archaeology surveying techniques. November 1 - NOAA releases the final management plan and environmental assessment for Olympic Coast National Marine Sanctuary in Washington state. 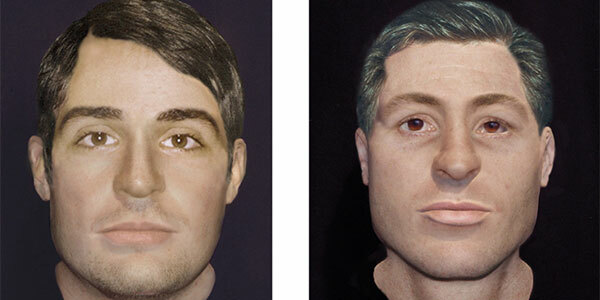 Nearly 150 years after 16 USS Monitor sailors died when their vessel sank in a New Year's Eve storm, NOAA's Office of National Marine Sanctuaries releases forensic reconstructions of the faces of two crew members. 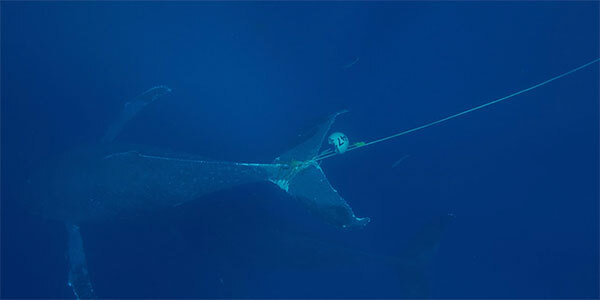 April - A new rule prohibiting killing, injuring, touching or disturbing whale sharks and rays is part of the final management plan, regulations and environmental assessment for Flower Garden Banks National Marine Sanctuary. October - NOAA completes the expansion of Fagatele Bay National Marine Sanctuary by adding five additional discrete geographical areas to the sanctuary, including Rose Atoll. The sanctuary's name is changed to National Marine Sanctuary of American Samoa, and the multi-year public process also results in revised sanctuary regulations and sanctuary management plan. The final management plan will guide sanctuary management over the next five to ten years. The sanctuary's new management plan represents a needed update to the original 1984 management plan. February - NOAA releases the final management plan and environmental assessment for Monitor National Marine Sanctuary, based on several years of scientific assessment and public involvement. The plan outlines how the sanctuary will operate over the next five to ten years. Specifically, it provides a framework for the sanctuary to refine its education and outreach programs; continue restoration and conservation of USS Monitor artifacts; consider possible expansion of the sanctuary's boundaries; and work with the state of North Carolina to strengthen local economies in coastal communities through maritime heritage tourism. May - NOAA presents the U.S. Coast Guard a national report that finds 36 sunken vessels scattered across the U.S. seafloor could pose an oil pollution threat to the nation's coastal and marine resources. Of those, 17 are recommended for further assessment and potential removal of both fuel oil and oil cargo. The report, part of NOAA's Remediation of Underwater Legacy Environmental Threats (RULET) project, identifies the location and nature of potential sources of oil pollution from sunken vessels. Knowing where these vessels are helps oil response planning efforts and may aid in the investigation of reported "mystery spills" or sightings of oil where a source is not immediately known or suspected. 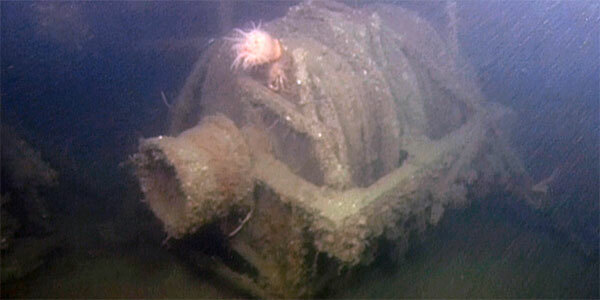 The sunken vessels are a legacy of more than a century of U.S. commerce and warfare. December - March - In December, a dock adrift as a result of the 2011 Japanese Tsunami is found aground on the Washington coast, in a remote area of Olympic Coast National Marine Sanctuary. The area also adjoins Olympic Coast National Park, and an area designated as a Wilderness and World Heritage site, and two tribal usual and accustomed fishing areas. In March, NOAA and others complete the salvage of the 185 ton dock, including an immediate focus on the removal of aquatic invasive species. Then, the rest of the dock was cut into 3,000 pound pieces and airlifted, with 200 cubic feet of foam insulation, off the beach. June 13 - At Capitol Hill Ocean Week in Washington, DC, John Podesta, Counselor to President Barack Obama announces the opening of the new public, community-based sanctuary nomination process. This is the first time in two decades that NOAA has invited communities across the nation to nominate their most treasured places in our marine and Great Lakes waters for consideration as national marine sanctuaries. Sept. 5 - Driven by strong public support, Thunder Bay National Marine Sanctuary expands from 448 square miles to 4,300 square miles. 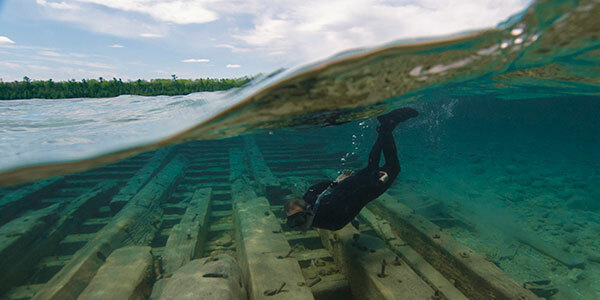 The new boundaries now include the waters of Lake Huron adjacent to Michigan’s Alcona, Alpena and Presque Isle counties to the Canadian border, and the sanctuary protects an additional 100 known and suspected historic shipwreck sites. June 9 - Greater Farallones National Marine Sanctuary expands from 1,282 to 3,295 square miles -- changing its name from Gulf of Farallones National Marine Sanctuary in the process -- and Cordell Bank National Marine Sanctuary expands from 529 to 1,286 square miles. With this expansion comes the protection of areas of major upwelling that support a vast array of sea life including 25 endangered or threatened species, 36 marine mammal species, over a quarter million breeding seabirds, and one of the most significant great white shark populations on the planet.